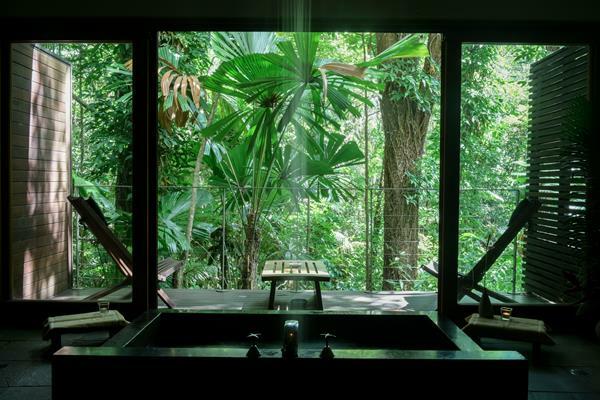 A Journey into Self Reflection … Emerald Jungle and Nature at Its Best in the Daintree, North Queensland. 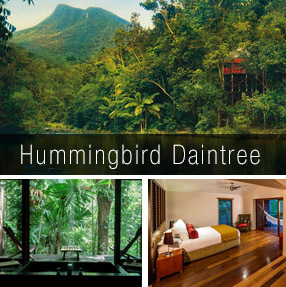 Rejuvenate at Hummingbird Retreat, Silky Oaks Lodge, Daintree. Arriving morning of 1st April – Departing at leisure 6th April 2016. Experience an authentic form of Qigong (Yi Jin Jing), blending breath, mind and movement. Rejuvenate with deep meditation, using Taoist healing techniques. Detox or just nourish with great food in this beautiful environment, free from stress. Cleanse and activate with daily acupuncture sessions, including an emotional detox: specially designed to clear away negative patterns of cellular influence. Nurture with evening yoga, yoga nidra and Vedic/Tao inspirations. Walk with an indigenous guide of the Kuku Yalandi People as we explore the river and rain forest. Spectacularly situated on the Mossman Gorge River, this eco luxury lodge is the ideal location to appreciate the natural tropical environment with a choice Tree house accommodation, all with individual and personalized touches.Immerse yourself in the sounds of the forest from your balcony. Set in lush tropical gardens, the Healing Waters Spa at Silky Oaks Lodge has been inspired by ancient wisdoms that celebrated water as a renewing and life-­‐giving force. Drawing on the spirit of the Daintree – the oldest living rainforest on Earth – the Spa is designed with renewal, vitality and well-­‐being in mind. The Healing Waters Spa is located in an area that resonates with ancient ceremonies and whispers of sacred healings. $1,500 deposit at time of booking or upon invoice; 100% cancellation refund before 19th February 2016; Non-refundable after 19th February 2016.